Who's your daddy? The weekend is. The velvety haute West Village menswear den is turning its lower level over to low-key up-and-comers like Tim Hamilton, Patrik Ervell and Gilded Age, and heaping on the discounts. Because when the going gets tough, the tough buy creek boots. The suiting magnate is holding an off-site sample sale, with tempting deep markdowns on jeans, leather jackets and power suits, perfect for your next biker gang/board meeting. 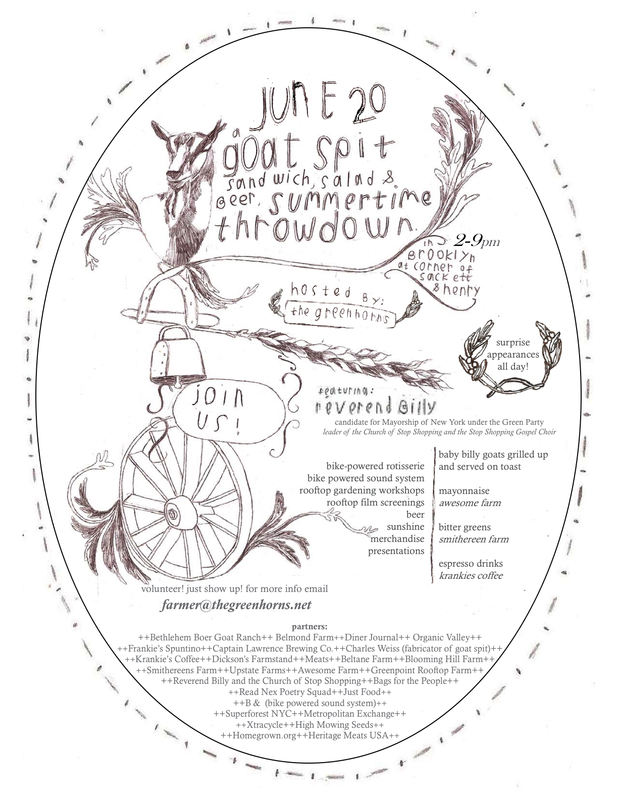 Roasting season is back, starting with this Cobble Hill goat roast featuring a bike-powered spit, a radical beekeeper and a special presentation from a "mayoral candidate" called Reverend Billy. In fact, the bicycle-power goat-meat bonanza may be the least crazy thing here. West Soho descends into depraved anarchy with the final edition of Don Hill's infamous underwear-oriented dance party. In short, it's history in the making. Expect half-a-dozen DJs, a cohort of frighteningly skimpy outfits and a scene unfettered by the laws of God or man.